Buy Raffey Cassidy Fans a Coffee. ko-fi.com/raffeycassidyfans - Ko-fi ❤️ Where creators get paid by fans, with a 'Buy Me a Coffee' button. Rising Star: Raffey Cassidy is a fansite for English actress Raffey Cassidy, who is best known for her role as Kim in the film “The Killing of a Sacred Deer” alongside Nicole Kidman and Colin Farell. Our fansite aims to always bring you the latest news and photos on the actress. However, running a fansite comes with a cost. Support us to help keep our fansite up and running! Welcome to our Ko-fi Page! If you enjoy visiting our fansite and how we run it, please consider supporting us to help us keep the site online. 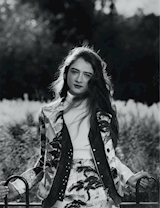 Rising Star: Raffey Cassidy is a non-profit fansite and all donations made will be used to pay for our domain and webspace to keep the fansite up and running only. Thank you! Secured Payments. Support goes to Raffey Cassidy Fans's account. Upgrade Raffey Cassidy Fans to a yearly Gold Membership with a one-time payment.